Coming up with New Year’s resolutions and goals helps to reflect on our actions during the past year. When we are making these resolutions, we’re embarking on a journey to better ourselves and our situation. As parents, we have a wonderful opportunity and responsibility to help our children to be the best they can be through our own example and teachings. Here are five goals you can set with your child. Being kind never goes out of style. Sit down with your child and make a plan on how they can be kinder this year. One on one, discuss some individuals in their class or neighborhood that could use an extra smile. Being kind doesn’t need to be elaborate it just has to be sincere. Acts of kindness such as waving to a neighbor, raking a yard, complimenting a classmate’s project, or including the new student are easy ways to show you care. Your Layton pediatrician understands that everyone can use a little extra help now and then. When discussing this topic with your child, ask for their ideas. Having them come up with ways they can help you or their siblings out around the house, and following through with it, will be very fulfilling for them. Doing a act of service around the house in secret can make it fun and enjoyable for both involved. Learning a new skill helps you learn other things faster over time. It stimulates the brain and more neural pathways are formed and allows you to process new information quicker. Discuss interests your child has or things they want to know more of. Make a trip out of it and explore a local library or community center. Museums are also an excellent source of learning! This goal can incorporate all the ideas in this article. Quality, shared time together give you and your child something that you have in common and that helps make them feel good and secure in their relationship with you. It’s also important to spend time with friends that care. Encourage your child to spend time with good friends when possible as well. You only have one body in this life. Take care of it! Nourishing your body and mind with healthy foods and exercise will make all the difference in how you feel. Plan healthy meals with your child. Let them pick out fresh ingredients. This can be an excellent way for you and your child to spend time together. Plan fun outings that encourage movement. You’ll not only be moving your body but you will be having fun as well! Making sure your child visits their doctor’s office for annual checkups is another important way to have your child take care of their body. 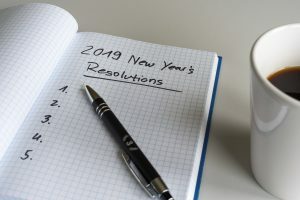 While many find making resolutions to be a difficult task this list can really help to narrow down some ideas and helps to keep it simple and sweet. At Wee Care Pediatrics we are here to help and support you every step of the way. If you are looking for a kids doctor in Layton or a pediatrician in Rossville or Taylorsville give our office a call today!